​Dr Thomas H Gugerli received his Bachelor in Science Degree in 1985 in Switzerland, followed by his First Medical Propedeutics 1987. He received his Doctorate of Chiropractic Degree from NWCC in Minnesota 1991, and has been a fellow of the Applied Spinal Biomechanical Engineering (FASBE) since 1991. Dr. Gugerli is United States National Board Certified (1991) and Swiss Board certified (1995), and is individually state board certified in Minnesota, Pennsylvania and North Carolina. - Institute of Dr Claude Illi for the Study of the static and the dynamic of the Human Body, in Geneva, Switzerland 1993-2000. - He owned a multidisciplinary practice in Rolle, Switzerland from 2000-2012. Pediatrics , pregnancy care, geriatrics, sports injuries, nutrition, spinal biomechanics, stomatology, orthopedics. This enables him to treat a very large panel of patients: from babies just a few days old to seniors, from construction workers, farmers to top level athletes. By relocating to Cary, Dr. Gugerli was able to bring with him his experience, the Swiss Approach to Healthcare and purchased the latest US and European technology in treatment tables, electrotherapy equipment, HIPPAA compliant electronic medical record software and ergonomics. 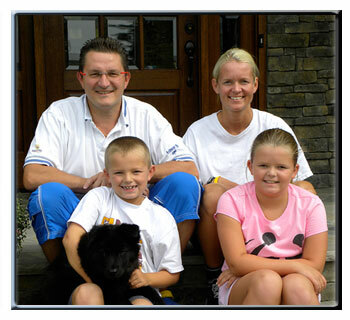 In addition, the Swiss Spine Clinic’sbiggest strength is that Dr. Gugerli truly cares for his patients. In the past 18 years, he has worked hand in hand with many different healthcare professionals in order for his patients to receive the best care possible. He has worked with specialists in the following fields: Family physicians, orthopedics, neurology, neurosurgery, rheumatology, general surgery, pediatrics, dentistry, orthodentistry, psychiatry, psychology, physiotherapy, acupuncture, and podiatry.